Friendships come and go very easily on Real Housewives. I mean this entire franchise is essentially about friends turning on each other and women with common enemies linking up to become BFFs. With that said, it is pretty tough to find a good friend on any of the Real Housewives shows. At this point, I feel like we have seen pretty much every one of these ladies do something questionable to a "good friend" in the franchise. The truly good pals are few and far between here. 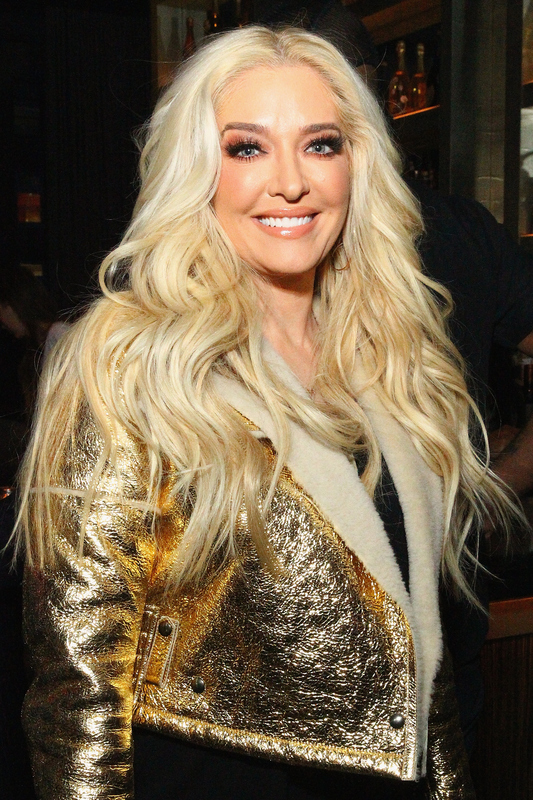 But, with only one season under her belt, it's clear that my girl Erika Jayne is someone who knows how to be a good friend. Sure, she hasn't had as much time on Real Housewives of Beverly Hills as the other ladies, but she has definitely gone out of her way to be a true friend to the people who she holds dear. If you want a little guidance in how to be a solid BFF, then you should just look to Erika as an example of what to do and not do. Even though Erika has said that she does not have many girl friends, she really isn't giving herself enough credit since she really is a genuine friend to those she is close with. Here are a few reasons why Erika is the ideal person to teach you how to be a great friend. In friendship, it is not at all possible for two people to have the same opinion about everything all the time. Erika has no issue listening to the other RHOBH ladies even if she doesn't agree with what they are talking about. She is very open, and that's one reason why makes a good friend. Erika is not the kind of person who wants to take a trip or a nice dinner for granted by engaging in a fight. Unfortunately, most of the other Real Housewives women think that a cocktail party or charity event is the ideal time to confront a frenemy. If you were friends with Erika, she would keep the fun on high and the drama at a minimum. Yes, Erika is so not into the controversy, but she also has a good balance between being agreeable and being genuine. She always says what she thinks in an articulate way, instead of solely trying to stir the pot... like some of the other women. Erika has no issue standing up for herself when she feels like she's been wronged. She can nip the drama right in the bud and say what she is really thinking. She does what she can to be a nice person, but she's not letting anyone push her around (*cough cough* Kathryn Edwards), and she is not going to follow around some clique leader (*cough cough* Lisa Vanderpump). Bethenny Frankel really came down hard on Erika for her music videos and what she perceived to be her marketing strategy as a singer, but Erika didn't care. She didn't waste her time fighting with someone who was speaking about topics they really had no knowledge about. She just took the hit and refused to take any low blows herself and go after Bethenny and her Skinnygirl empire. Even as the new girl, Erika was very perceptive when it came to assessing the RHOBH clique. Erika knows what's up. Aside from being a good friend during the serious times, Erika is just super entertaining to be around. She can tell a hilarious joke and turn up the fun at a moment's notice. Erika keeps a lot in the vault. She never let anything slip about marriage problems between Yolanda and David Foster and after the divorce announcement she refused to talk about her friend's personal life when she was asked about it. Erika is not the kind of person who feels good about herself by putting down others. Even though she is on a super catty reality show, she is just not the kind of person who gets off on stirring the pot and talking poorly about people. She is a true friend to the end. Erika really says the darnedest things. From the humorous comments to the over-the-top outfits, Erika will always entertain her friends with her hilarity. Erika is the one friend who I would want out of all the Real Housewives ladies. She is smart, nice, funny, and eternally entertaining. What more could you ask for? !